Washington’s Best Kept Secret? BC Wine Country! 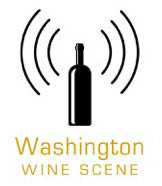 With over 900 active wineries in Washington State, and another 600+ in Oregon, there’s plenty to keep wine lovers busy! Yet for those who have been to Yakima, Walla Walla, Woodinville of course, and maybe Willamette Valley, what’s next to visit? Okanagan of course! Western Canada has a decent wine producing region? Beyond what you may think. Okanagan Valley has hundreds of wineries and most are not only producing wine, but unlike Washington, most grow their own grapes too. And while I love the ease of visiting wineries in Woodinville, Okanagan Valley has an abundance of gorgeous wineries surrounded by lush green vineyards in one of the most scenic wine regions in North America. To American’s, Okanagan Valley is North and thus must be cold. To Canadian’s, Okanagan Valley is as South as you can go, and this their warmest region and great for Canadian tourists. And Okanagan has some pockets that are warm enough, especially those with SW exposure to get sun all day, to ripen Cabernet, Merlot, Malbec, and Syrah. However, the red grape getting the most attention in BC is Cabernet Franc, which ripens a little easier and earlier. My last visit this spring was truly a quest to find good, solid reds. It’s well established they can do whites, and whites well, as they need less heat and a shorter growing season. 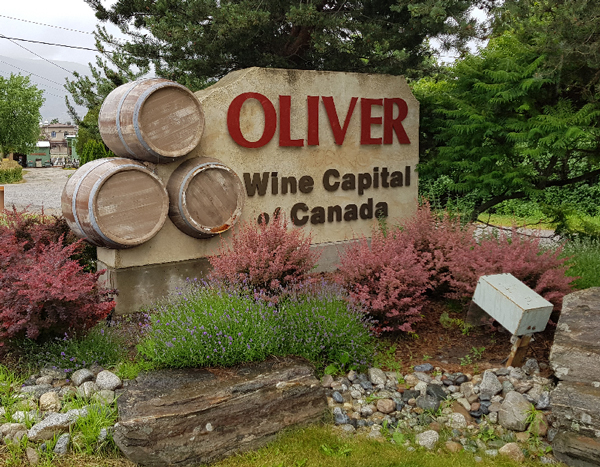 But with so many wineries and such a big region, and a limited amount of time, our search party contained our search to the area just across the US Border, starting with Osoyoos and heading up about 20 minutes to Oliver. So to be fair, there’s a plethora of wineries we didn’t visit in the regions we were in, as well as further north into Kelowna, Okanagan Falls, & Penticton. But what we did discover was a rich landscape of cool, locally owned wineries, with incredibly friendly staffs and incredibly friendly pricing. Most tasting fees are still $5 to $10 and waived with purchase, and we found something at every winery except one to bring something home! And how does that work? Bringing wine from Canada to the US does require you declare it at the border. And then they have you go inside if more than 2 bottles each, and pay a huge tax of about 14 cents per bottle. If they’re sticklers, they might make you fill out a form for Washington State who wants to collect tax on it. So for 2 cases it added up to $4 for the Feds and $4 for the State! Want a great spot to stay? Check out Hawk Heaven Lodge for an incredible vista north, gazing over the Okanagan Valley perched high up in the hills outside Oroville! We loved the quiet and amazing surroundings in a cabin-esque setting with a few rustic elements. It’s private, affordable for a few couples to all pitch in, and you’re only 20 minutes from wine country! A Great New Villa To Stay At On Red Mountain! 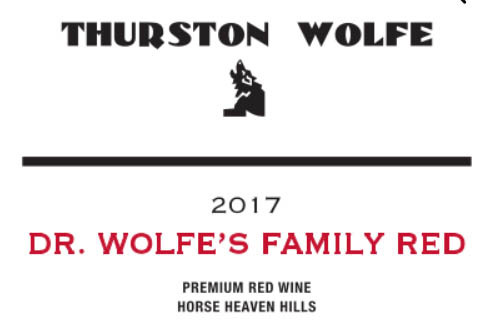 Red Mountain has become famous for being one of the premier vineyard regions in Washington State, which establishes it as the most expensive fruit for winery’s to buy. With that notoriety comes tourism, and the last few years has seen a huge surge of interest in wine enthusiasts wanting to visit. The problem – almost no where to stay! So I was thrilled to learn of a new vacation rental that’s available, and was honored to be the first overnight guest to enjoy the experience! Red Mountain Villa is a gorgeous, old classic farm house built over a century ago, originally as a train station and converted to a home about 50 years later. This is the perfect place for 3 couples to rent, with 3 bedrooms and 3 full bathrooms ( 2 Kings & 1 Queen) and plenty of room to relax and hang out together before or after wine tasting. It’s rustic and elegant at the same time. The Villa interior really has old world charm, with stone floors in some areas and amazing wide plank gorgeous pine floors in others, with exposed wood beams and brick arched doorways. The furnishings are a nice blend of old and new, with antique chairs, lamps, and cabinets balanced with brand new beds, couches, and an amazing dining room table perfect for big groups. We loved cooking in the huge kitchen, which is a great feature since there’s not much for dining in the area. And the new high-end grill outside is a BBQ lovers dream as well, especially if like cooking at 625 degrees! And the lower level of the home has it’s own kitchen as well, and with a bedroom, bath, and large living room with a huge new flat screen TV, it’s an apartment in itself for the couple who really wants privacy. And of course the home is equipped with free wi-fi and air conditioning, a necessity in Washington’s hottest growing region. One of Red Mountains best attributes is 300 days of sunshine a year. We loved the private, 4 acre back yard where the sprawling lawn leads you past small orchards, grape vines, or various fruit trees (peaches, plums, cherries which you are free to pick and enjoy during your stay.) Pull up an Adirondack chair by the lazy Yakima river under the soothing shade canopy of the massive 100 year old Black Walnut trees. If you’re lucky you’ll get to meet the family of wild white kittens or the 4 baby owls that seem to enjoy the property as much as you will. The two best places in the area to get married are within 2 minutes down the road, with a gorgeous new barn/event center at Tucannon Winery and a spectacular facility at Terra Blanca. The Red Mountain Villa is the perfect place for the wedding party to stay before and after the ceremony! As the first guests to stay at the Villa, we enjoyed the quiet, peaceful surroundings and not having to drive far after a day of tasting wines, as there’s wineries within blocks and the remainder only 5 minutes away. This undiscovered gem in Red Mountain will soon be hard to book once the word gets out. You can rent it by CLICKING HERE!